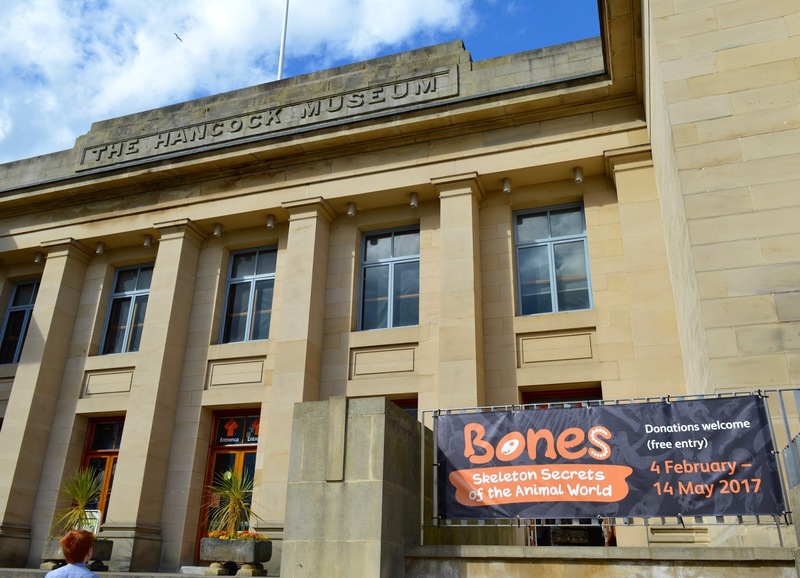 After our trip to Exhibition Park and Sunday lunch at Wylam Brewery last weekend, we decided to pop into the Great North Museum (or the Hancock as us kids of the 80s call it) to check out their Bones exhibition. 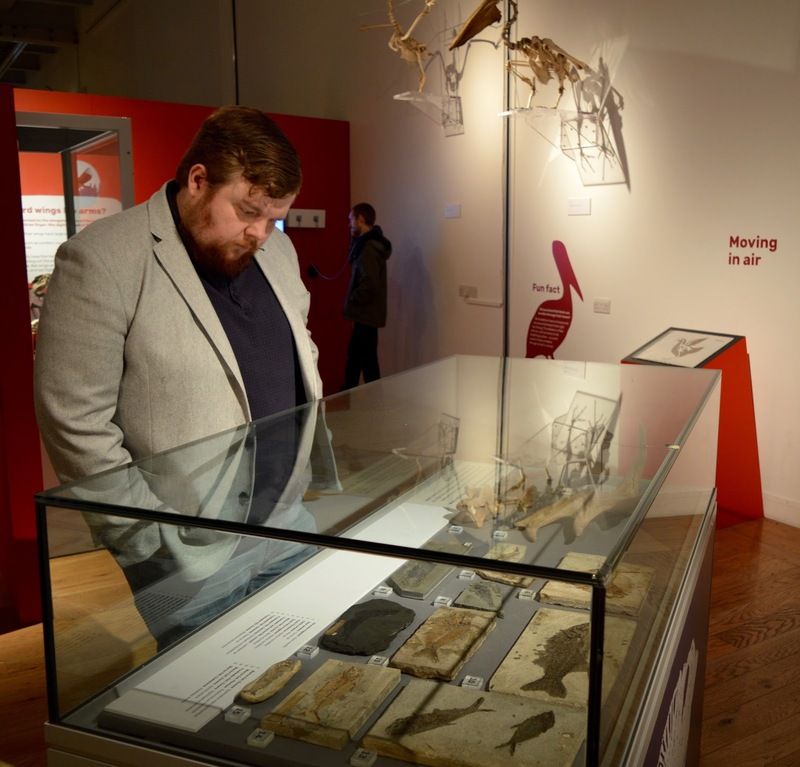 The Hancock Museum and the exhibition is FREE to visit and continues until 14th May. Most of these activities are FREE and drop-in but some do have a small charge and need to be booked. Check out the Hancock Museum's website for details. 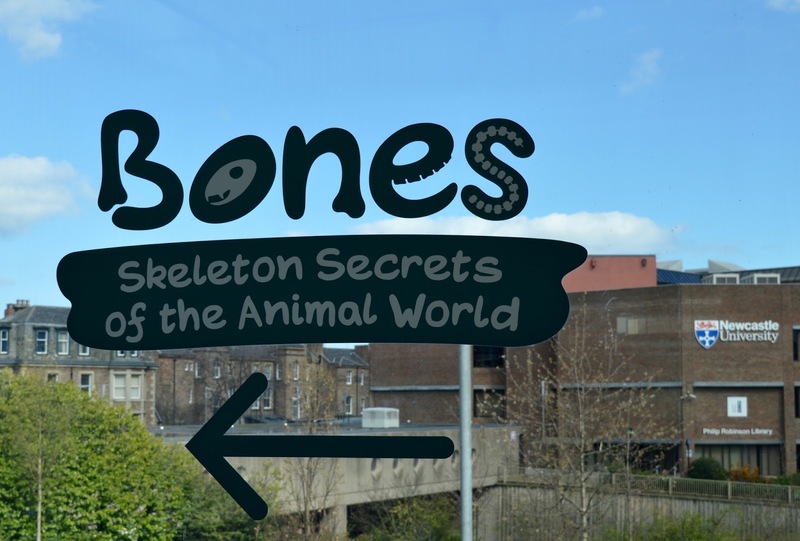 You'll find the Bones Exhibition on Level One and it takes up most of the length of the museum. 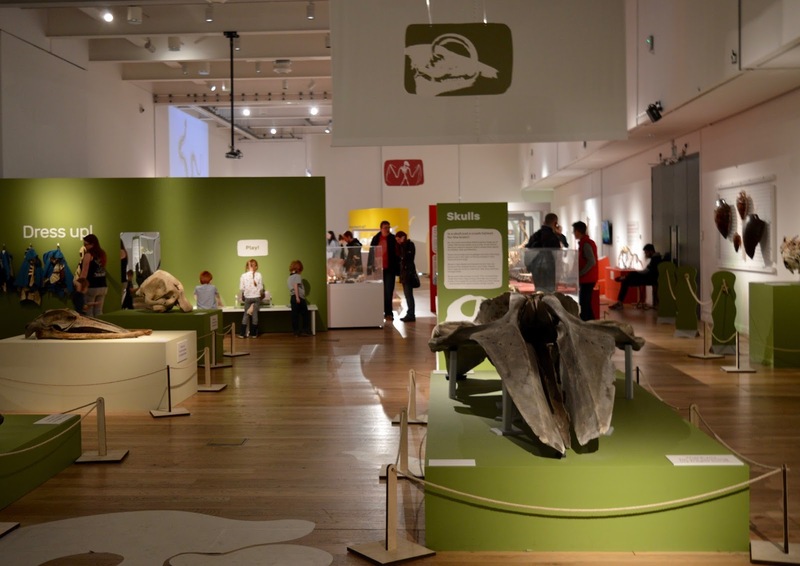 It's a nice open space with lots of interesting things to see, read and do. 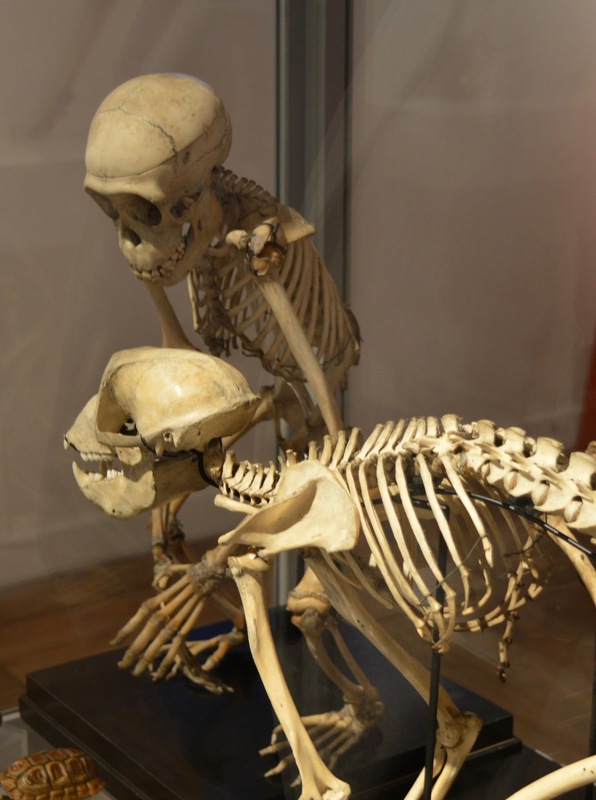 The exhibition focuses on skeletons, how they work and a few secrets too. We visited with children aged 6, 8 and 10 and I think this is the perfect age for visiting as they can read all of the information and absorb/understand everything themselves. I would also say that it is fantastic for adults. Sometimes museums can be a little boring but I found the exhibition to be fascinating and would visit again myself without the kids. 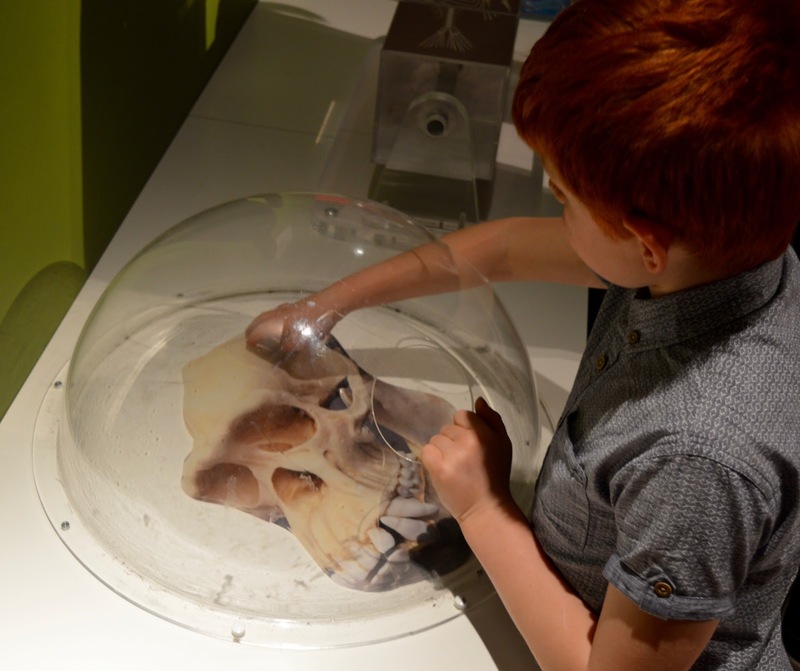 Finally, Babyfoote visited the exhibition with pre-schoolers recently and also recommends. So basically, all ages will take something from a visit. 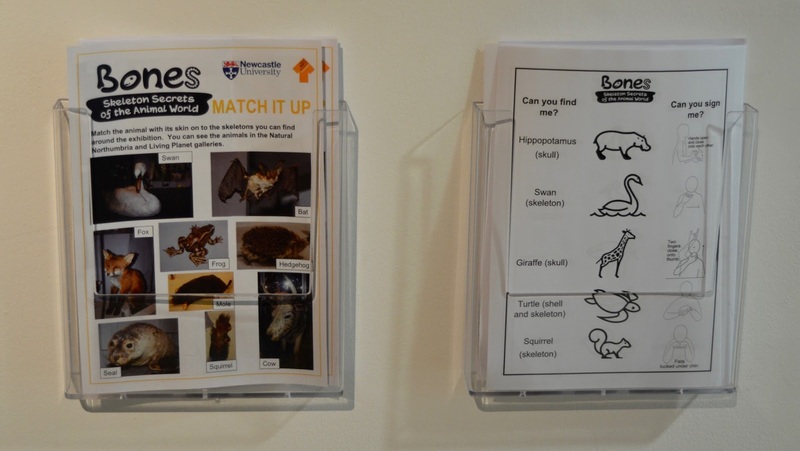 By the exhibit entrance there are a couple of activity sheets (pack a pencil) and I would recommend having a wander around the exhibition first (there is so much to see) and then coming back and working through the sheet which helps you discover facts you may have missed. 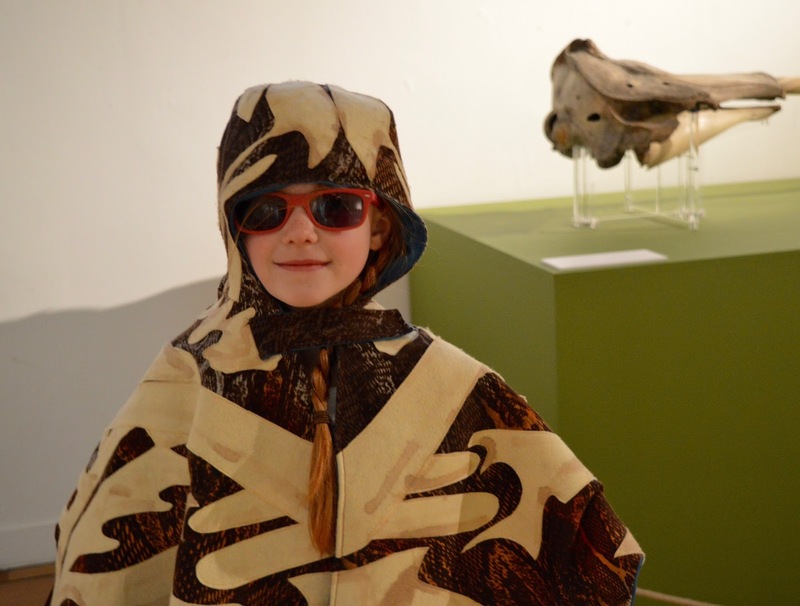 Heidi was obviously straight over to the dressing up station and spent a lot of the time walking around the exhibit incognito. There is lots of simple, hands-on fun for older children and little activities dotted about for them to get involved in learning. 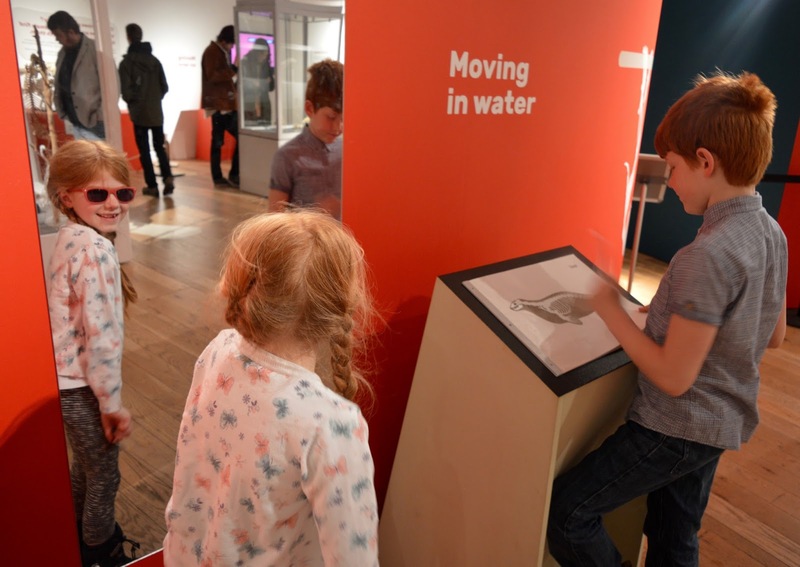 Harry is using a flip chart to learn how an animal's spine might move in water and Heidi is using the prompt above this mirror to watch the way her own spine moves as she wiggles about. 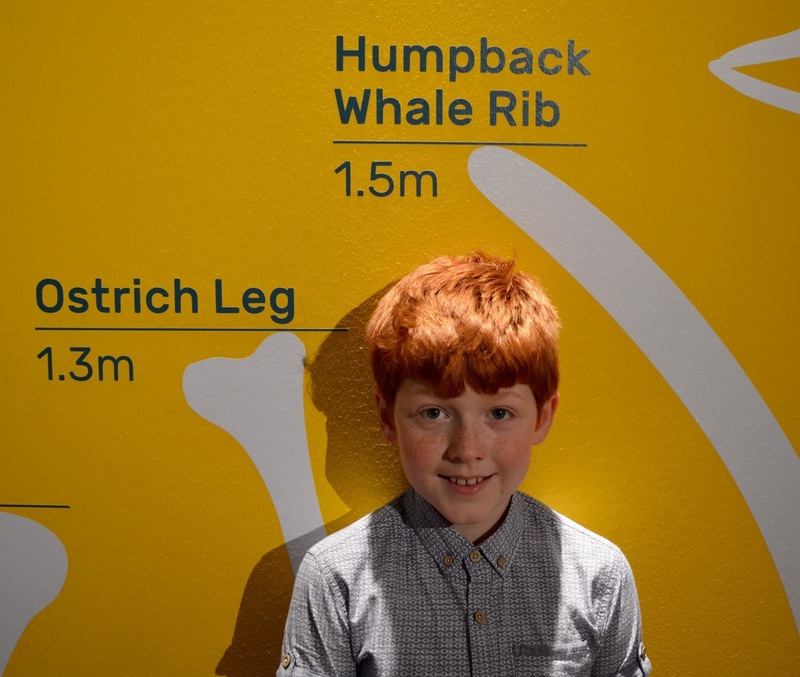 We also discovered how the kids size up against various animal bones. Harry is just a little taller than an Ostrich leg. 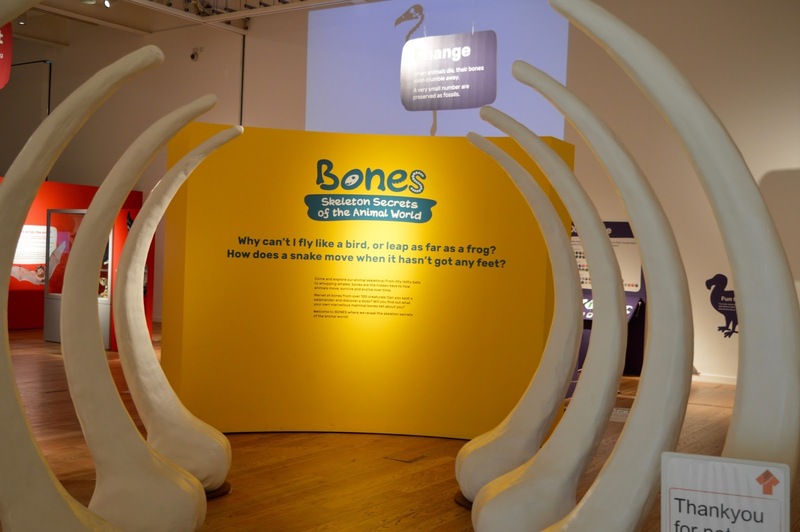 The best part of the exhibition for me was being able to see the actual real life bones and skeletons from various animals up close. 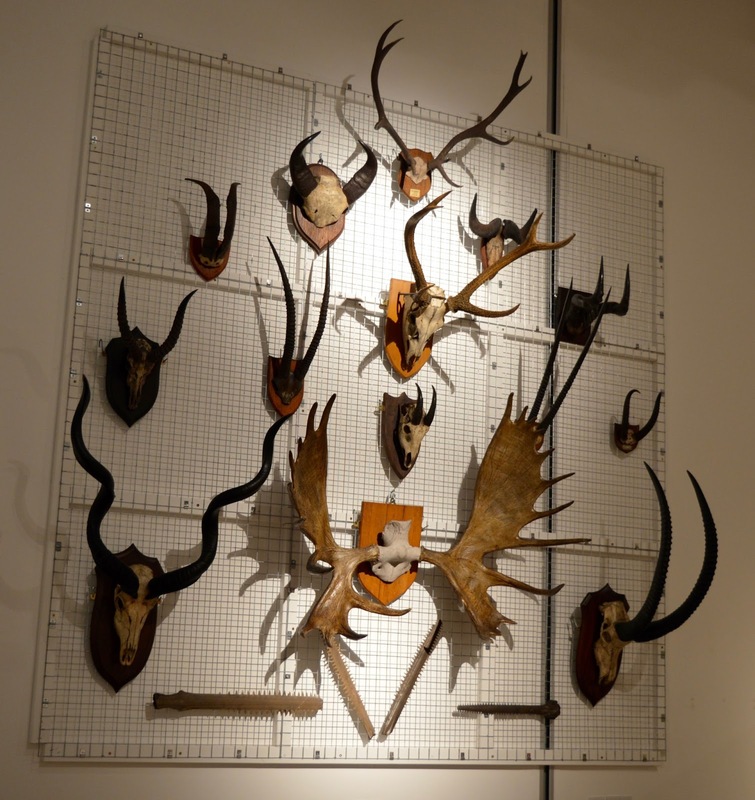 At one point three animal skulls are lined up together and it was super interesting to see just how similar they were. 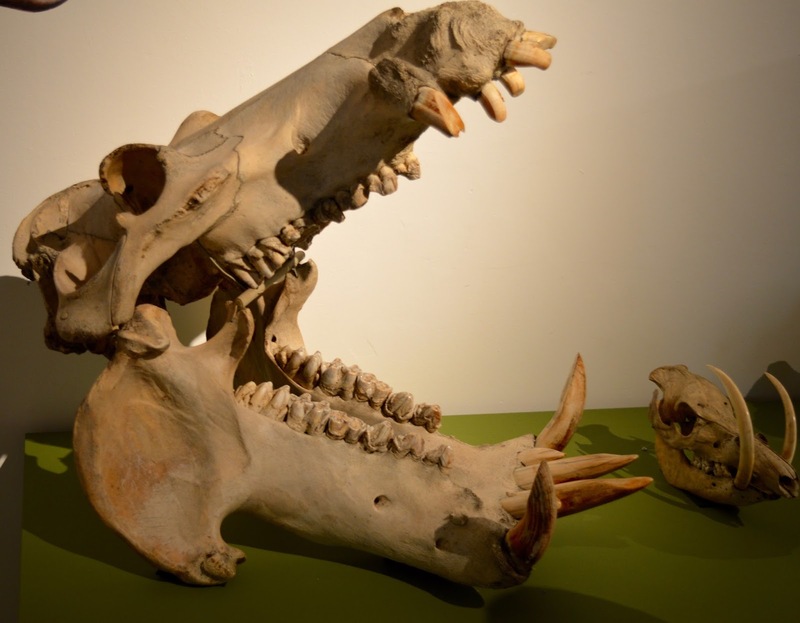 Check out this Hippo (or Rhino??) 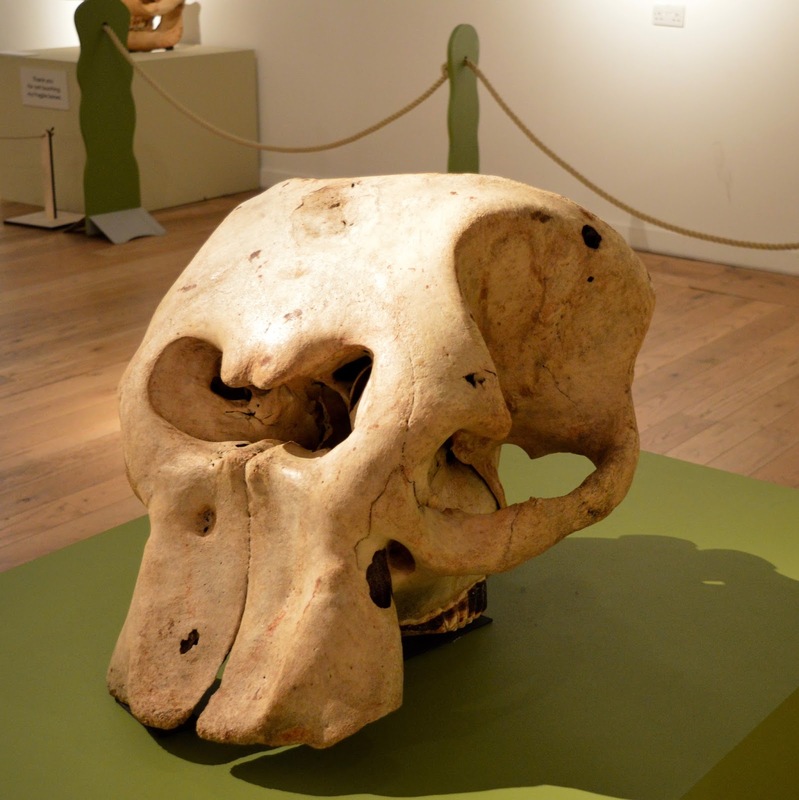 skull below. I wouldn't want to get too close! 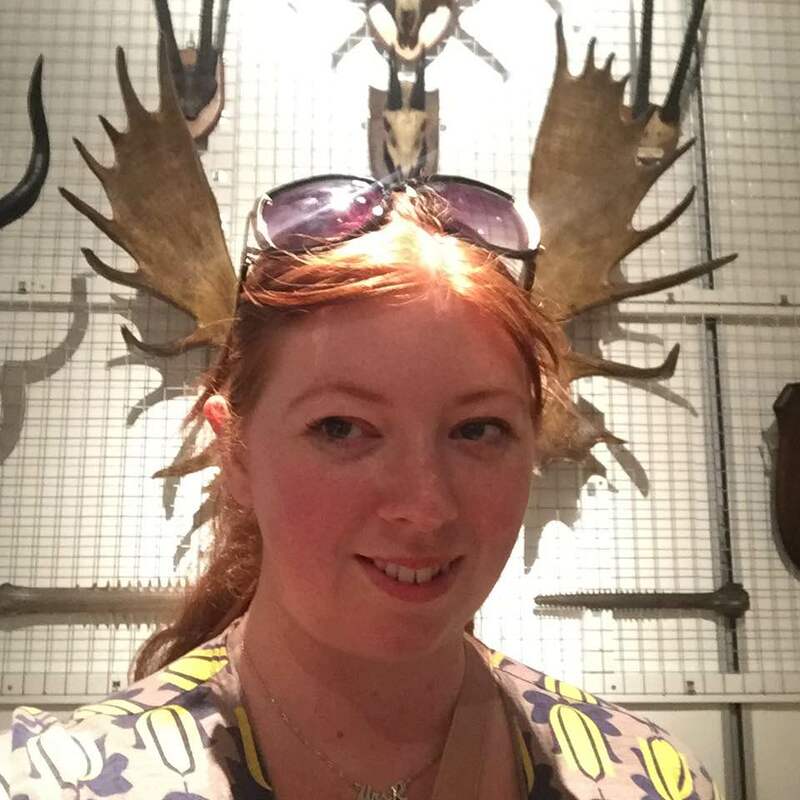 I loved the wall of antlers too and there is a spot on the floor where you can stand and get the perfect selfie. Obviously I need no excuse to take a selfie! Being able to see the detail in various skeletons is just incredible. I honestly don't know if I was more blown away by the huge whale bones or the tiny skeleton of a bat more? 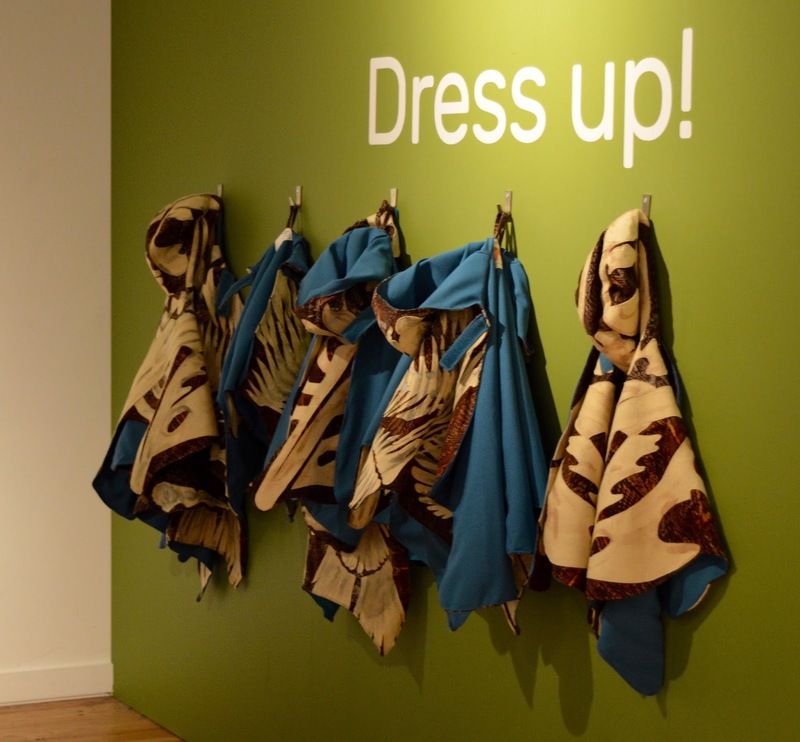 There are lots of prompts for discussion and questions to be answered around the exhibition for curious minds. 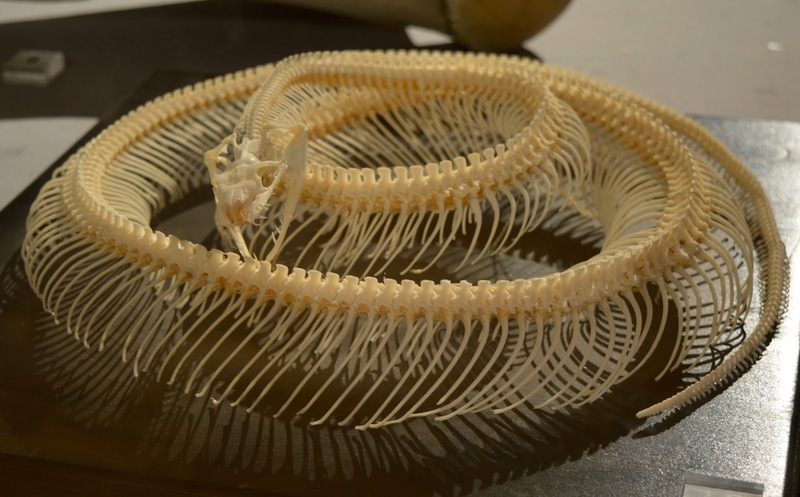 You'll learn why birds can fly and how a snake can move when it doesn't have any feet. 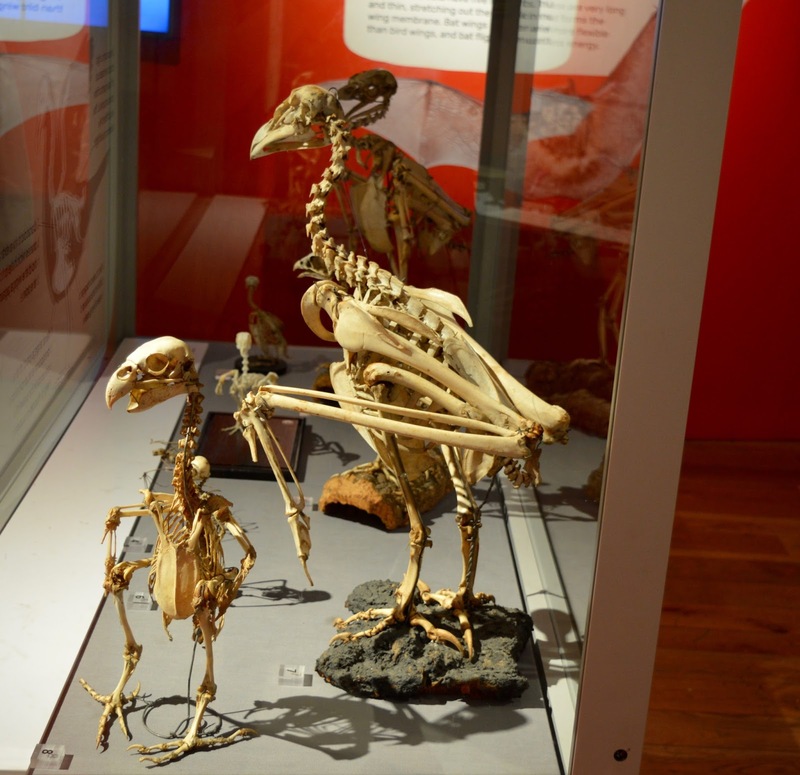 If you're looking for a free day out this Easter, I recommend catching the Bones exhibition at the Hancock Museum while you can. It continues until 14th May 2017. 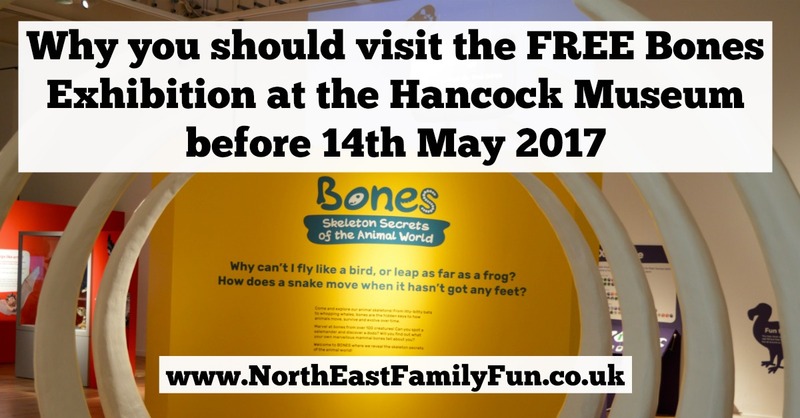 I used to love the Hancock Museum when I lived in Newcastle. Glad to see that the glass cases of stuff remain.